Located in south Louisiana, we are a lodge offering a blend of first class accommodations, memorable cuisine of southern cooking and true hospitality that makes our guests feel like VIPs while remembering the reason you’re here is for our exceptional fishing and hunting. We can customize and manage all aspects of a successful outdoor adventure for individuals, family or corporate groups. 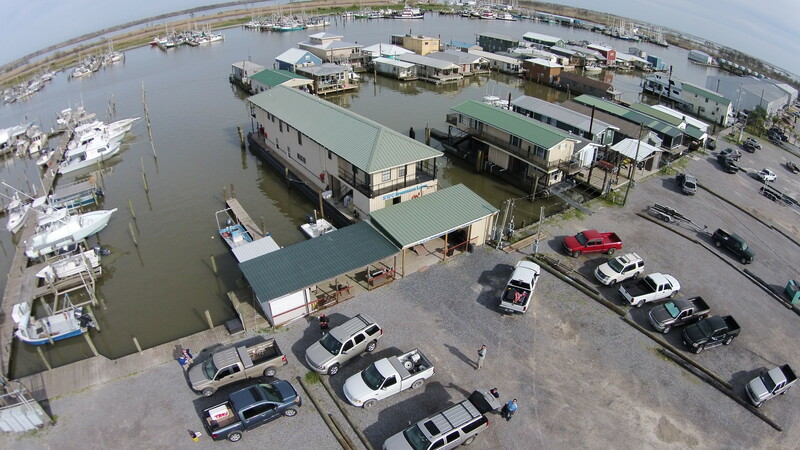 The Sportsmans Lodge is located in the Venice Marina in Venice, Louisiana. Venice, called the ‘Sportfishing Capital of the World”, is a 90 minute drive south of New Orleans, and is on the edge of the Mississippi River delta. 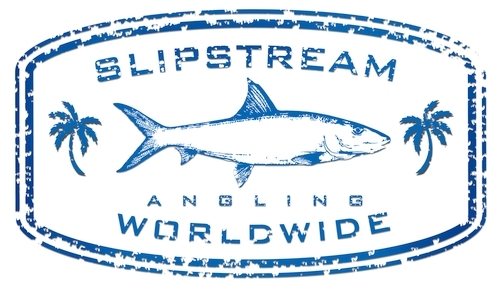 This location offers easy access to the finest off shore fishing just off the mouth of the Mississippi River as the continental shelf is closer to the mouth of the river than anywhere else in the continental United States. Blue & White Marlin, Tuna, Mahi Mahi, and Wahoo abound in these waters. In addition to offshore fishing, Venice is surrounded by vast marshes and is close to several barrier islands offering some of the best coastal fishing for redfish, speckled trout and many other species of fish as well as exceptional duck hunting. 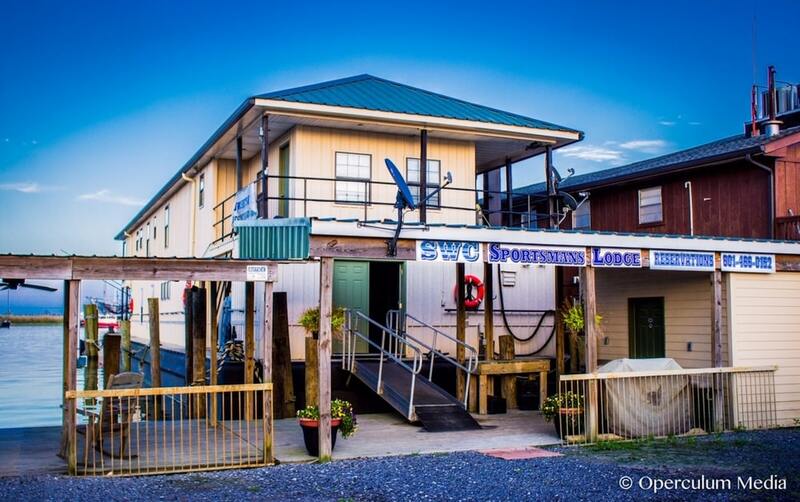 The SWC Sportsmans Lodge is located in the Venice Marina in Venice, LA. Complimentary breakfast, lunch, dinner and bar while on the Lodge. 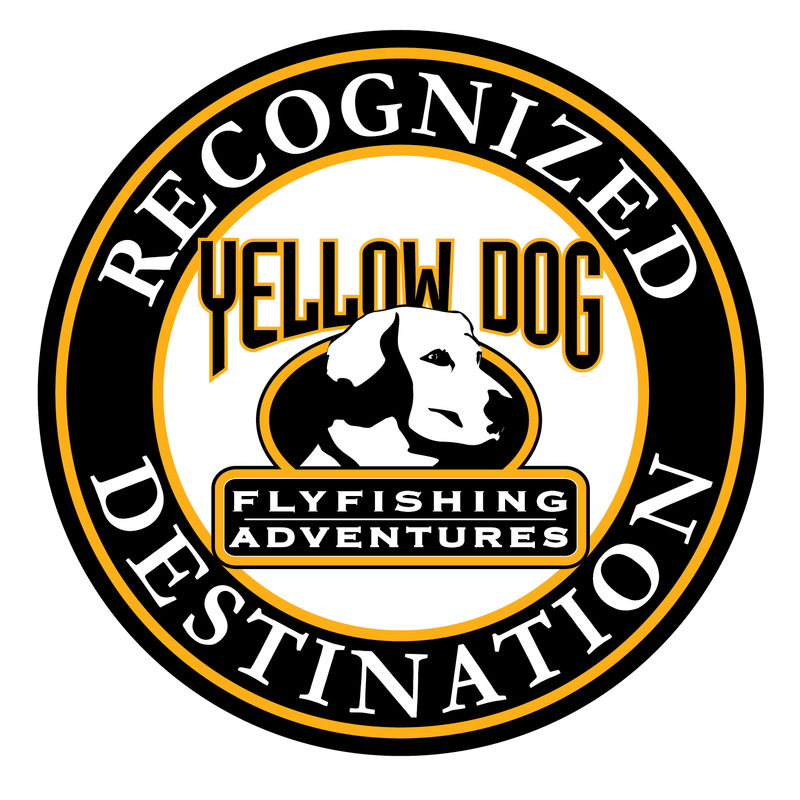 Inshore guided fly fishing trip for up to 2 anglers is $780/day and includes fuel, ice, rods, reels and tackle. Offshore trips are $2,000/day plus fuel for up to 6 anglers and includes ice, bait, tackle and fish cleaning. You will pay for the fuel at the fuel dock once the boat is refueled at the return of your trip. Duck hunting during the season is $275/person/hunt. Hog hunting during the season is $250/gun with a $100/hog cleaning fee. You can also book your own guides or bring your own boat and tie alongside while staying with us on the Lodge. All boats pick you up and drop you off at the Lodge. We furnish lunch and bottled water and soft drinks to go for you on the boats; however, you will need to bring or get any alcoholic beverages from the marina store if desired to bring on the boats. We have ice chests and ice on hand to hold your fillets/game but suggest you bring your own for holding and transport back with you. Gallon ziplocs are also good to have on hand. The marina can pack and ship your catch – please call them directly for pricing, etc. at 504-534-9357. There is a 50% of cost deposit to book with the balance due at the Lodge. 10.95% sales tax will be added to the lodging portion and a 4% upcharge should you desire to use a credit card. Fishing licenses are $10 for 3 days. We hope you enjoy your stay with us. Please make sure that all members of your group are advised of the following information. Check-In and Check-Out CHECK IN time is 3:00 pm. Please do not arrive before check in as housekeeping needs to complete the cleaning from previous guests. CHECK OUT time is 11 am. Please vacate property no later than 11am so that we can have it ready for the next guests. If you are fishing the day of departure we will hold your bags for you to pick up at return. If we have room available when you return, you are welcome to shower and change clothes. Deposit – A 50% deposit is required to book a reservation along with a credit card. Lodge cancellations made 30 days prior to the reservation date are entitled to a full deposit refund. We will hold your deposit for 1 year to reschedule for Lodge cancellations made less than 30 days but not less than 72 hours. If you have not rescheduled during the 1-year period, your deposit will be forfeited. For cancellations made with less than 72 hour notice, your deposit will be forfeited. Fishing and hunting charter cancellations must be communicated at lest 30 days before your charter date. We are officially notifying you that at least 30 days’ notice must be provided in order to cancel your trip and receive a refund on your deposit. If you do not provide 30 days’ notice regarding cancellation of your charter, your deposit will not be refunded. If you cancel within 14 days of your charter date then the full charter rate will be due. If your fishing or hunting charter is cancelled by the guide due to weather, then the deposit is refundable. Pet Policy – Positively no pets are allowed inside. Smoking Policy – No smoking is allowed inside. Please use the outside porch and deck for smoking. Please use an appropriate receptacle for cigarette butts. Do not throw them on the deck, porch, or in the water. Towels and Linens – All are provided and not to be taken off the premises. Activities Not Allowed No drinking by minors. No illegal drugs No activity that would disturb other guests and neighbors. Sanitation – The Lodges have waste treatment systems. Do not dispose of feminine products, baby wipes, paper towels or any other items in the toilet. Soiled toilet tissue is the only thing that should be flushed. Other items create problems that may cause toilets to backup. Please dispose of other items in trash cans. Please do not dispose of any bleach or bleach based products in the toilet as this will damage the waste treatment system. Liability – Southern Way Charters, Inc. and Biloxi Marine LLC are not liable to guests, guests’ employees, patrons and visitors, or to any other person for any damage to person or property caused by any act, omission or neglect of the guest or any other tenant of the described premises, and guests agree to hold owner and manager harmless from all claims for any damage whether the injury occurs on or off the premises. Southern Way Charters, Inc. and Biloxi Marine LLC will not be liable for any injury caused by any defect therein to the guest or anyone on the premises who derives his right to be thereon from the guest. Damage and Theft – We ask that you respect the property. You will be responsible for any damage to property or missing items. We understand that accidents happen and we ask that you report any damage immediately so that we can arrange for repairs or replacement as soon as possible. PLEASE READ ALL POLICIES CAREFULLY. BY PAYING FOR ACCOMMODATIONS AND CHARTERS, YOU ARE AGREEING TO ALL CONDITIONS AND POLICIES.